Hope everyone is having a fabulous week. Thanks so much to all my new followers/subscribers! So glad to have you here. 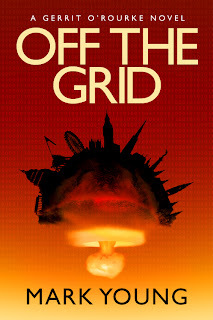 Monday and Wednesday: My good friend, Mark Young, drops by to talk about how real life military experiences influenced his current novel, Off the Grid. This is a great book for a great priced. Please, check it out. Friday: An all important topic for writers-- maintaining the chain of evidence. What is it and what does it mean if it's broken? What interesting things have you researched lately for your current work in progress? 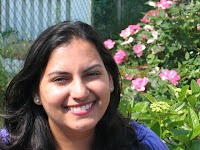 Today, Amitha concludes her thoughts on surgery with some specifics about brain surgery. As far as what would exactly happen during the brain surgery, it's hard for me to say because I don't really know what kind of surgery your fictional patient is having. But most basically, the surgeon first cuts into the patient's scalp, exposing the skull. They drill open and remove a portion of the skull, then cut into the dura (a membrane surrounding the brain) to expose the brain. Then the surgery is performed (depends on the type of surgery). At the end of a craniotomy, the skull is reaffixed using screws or other techniques (though in a "craniectomy" it is not replaced). This website: http://www.brain-surgery.us/12_open_surgery_postop.html goes into some specifics about what's involved during different brain surgeries. Make sure to scroll down to the bottom for some nice images. If you have an idea what specific kind of surgery your fictional surgeon is performing, there's probably a video of it on YouTube. But as far as things that would make your story believable, I think this video of an awake craniotomy is excellent. You get views of the room, the equipment they use, the patient, the doctors and others in the room, and the surgery itself. This video isn't quite as self-explanatory, but shows a surgery where the patient isn't awake and where a special microscope is used during the surgery. When writing, I'd try not to get too bogged down in research and details. You'll bore yourself and your readers to tears. I'd focus on getting the overview of things right. What people are wearing. What people are doing—rather than specifics of the surgeries. It's the simple things that will make your reader question your credibility as an author. For example, knowing that your surgeon will already have her face mask and hair coverings on before she enters the OR and that she'd keep these on the entire time she’s in there is something that anyone who has seen a surgery would notice. Whereas, choosing the wrong type of scalpel, or the wrong kind of anesthesia, would be overlooked by most people. I'm pleased to have Amitha Knight back who will be hosting a medical question today and tomorrow about surgeries. Today, she covers the general surgical timeline and what the patient's process is through the OR. On Friday, she'll cover more in depth about brain surgeries. While I saw lots of surgeries during my 12-week surgery rotation in medical school, ranging from cholecystectomies (gall bladder removal) to liver transplants to cardiac surgeries to breast implants, I didn't see any brain surgeries. I especially didn't see any veterinary surgeries so I can't comment on that part of your question. The reason I didn't see the brain surgeries was that the surgeons wanted you to be there for the entire surgery and brain surgeries can take a long time. 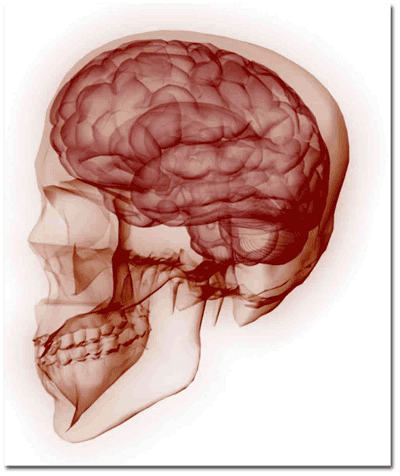 For example, I heard of one brain tumor removal taking 6 hours. A quick search of the web reveals people who report their brain surgeries having taken more than 12 hours--not sure if they're counting recovery time. Performing and assisting surgeries for long periods of time requires stamina, dedication, and patience. Alas, our hospital didn't have a surgical theatre like on Grey's Anatomy where people could eat lunch, gossip, and come and go as they please while watching surgeries. 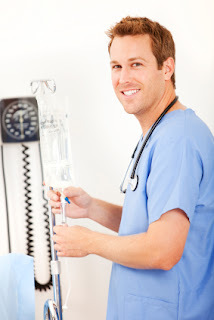 The anesthesiologist sedates the patient (sometimes this is started in the pre-op area). During some brain surgeries, the patient is kept awake for portions of the surgery (so they can monitor the patient's brain functions by having the patient do different things during surgery) while in others, the patient is intubated and kept under general anesthesia the entire time. The patient is positioned appropriately for the surgery. Parts of the body that aren't being operated on are covered up. The patient's head is shaved (or at the very least the part that they are operating on I should think). Meanwhile the surgical team "scrubs in" (i.e. they go to a separate room attached to the OR to thoroughly clean their hands/arms up to the elbows and then return to the OR where they are helped by surgical technicians and nurses into sterile gowns and gloves, all the while making sure not to touch anything that isn't sterile). Sterile coverings (which are usually all blue) are draped everywhere so that people who are "scrubbed in" don't accidentally touch non-sterile things. People who aren't "scrubbed in" aren't allowed to touch anything in the sterile field. Keeping things sterile and clean is key. The surgical area is "prepped" (i.e. cleaned). Surgeons and surgical techs do a "time out" and double check the patient's name and the procedure being done and the area being operated on. The surgical site is "closed" i.e. stitches are put in, the wound is dressed. The patient is wheeled to the post-operative area ("post-op"). 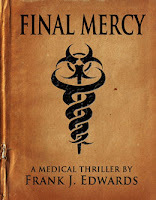 DV asks: I am writing a thriller right now and need a description of a large city hospital morgue. I haven't tried to secure a tour yet (do they even allow that?) at a city nearby. All I need is to know how they're set up. I've read they're usually in the basement near a loading dock, and they're usually unmarked and secure. Do they use a wall of refrigerated drawers? If not, what does the room look like? How are the bodies marked? Do they still use toe tags or is it all done electronically? Do they include cause of death? I'm afraid the smaller town I live in wouldn't have the same kind of morgue as a large city (the book takes place in LA). I'd like to have at least a semblance of reality. I'm not familiar with a large city morgue either. Just a hospital morgue. I think you could probably call and set-up a tour. I'm sure you won't be the first person to ask. Another thing I would recommend would be to take your local police department’s citizens’ police academy. I took one locally last year and it was a wealth of information. Sometimes, through a venue like this, you might get the chance to tour a morgue. Do a Google search for known medical examiner's buildings and get photos of the structure via the Internet for the outside look. Next, go to You Tube and search for "morgue tour". Several years and at least a dozen moves later, she now lives outside of Seattle, Washington with her sweetheart Mark, an ex-chef-turned-contractor, and writes whenever she gets a chance. You're welcome to email her at dvb@dvberkom or chat with her on Facebook or Twitter- she loves to hear from readers as well as other writers. Hey Redwood's Fans! How has your week been? This week is all about author questions. I love the challenge of doing these posts. Amitha Knight is joining in on the fun as well. I'm pleased to host Frank Edwards, MD today as he writes about telling a family about the death of their loved one. I have been in this position, unfortunately, as well. Sometimes, getting the feelings of a healthcare provider is hard to do. I think Frank has done it well with this poem. who'd gone straight to the morgue. to the room we keep for these occasions. but this a time for shamans. Not hurt . . .
(Husband, mother, father, brother, sister, friend). until you feel it yourself. to use the word death. Check out Frank's novel Final Mercy. I was happily reading along one of my favorite best-selling authors when I stumbled upon a troubling set-up. Now, this author makes a lot of money which is why I'm not sure the reason for his not picking up the phone to consult me on his manuscript. One character had been beaten up fairly well. He was in the hospital on a Valium drip. Huh? That's right, just a bag of Valium hanging and dripping into his veins. Issue One: Valium is not a pain medication per se. It is a muscle relaxant which can relieve pain from a muscle spasm. However, if you have had the snot beat out of you, let me introduce you to my friends the opiates: Morphine, Fentanyl, etc. These are likely what we would give first for pain. Issue Two: Valium is not given in a bag as a drip. In fact, I can think of few instances where Valium would be given as a continuous medication. Some shorter acting friends of Valium are-- but you generally have to be in the ICU on a ventilator to get some. This character was not. Issue Three: Narcotics need to be secure. If a patient needs a continuous amount-- this is what PCA (patient-controlled analgesia) pumps were made for. They are locked IV pumps so that no one can steal the drug from the bag and so that the patient cannot manipulate how much they receive. Pediatric ICU's do run a lot of continuous drips that are not locked. In these instances, usually a calculation is made at the end of a shift to look at the amount remaining. If the syringe is off by more or less one millimeter-- then generally an incident report is filled out. So bestselling, multi-million dollar author--- really, just call me up. I'd be happy to help. Have you read a scene with inappropriate use of narcotics? Today, Rob concludes his first person account of caregiving under crisis. Good news is his wife is strong and well and they are still happily married. The cardiac room was cramped, even without the medical team working over her. I was relegated to the hallway with a nurse that had accompanied us from our oncology floor. She had been on break and was friendly with my wife and me. She was there to make sure I was okay – or was she there to ensure I would not get in the way? A nurse who was unknown to me walked past with a large syringe. 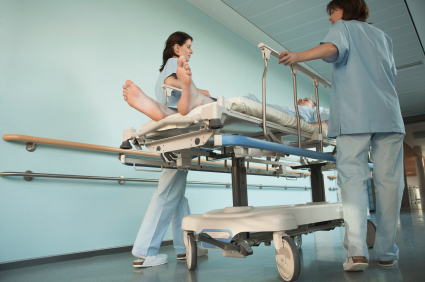 “Atropine?” I asked as I turned to the nurse who escorted me to the cardiac floor. She nodded in affirmation. That’s when I stuck my head into the room and saw it. By the way in which her head fell to her chest, there was no doubt in my mind that her heart had stopped beating. A tug on my elbow instructed me to follow. I comprehended the message. Though I had no intention of getting in their way or interfering with their efforts to restart my wife’s heart, I was her husband. I had to give it one try. I pulled away from the nurse’s grasp. “CINDY, WAKE UP!” I screamed at her. And that is exactly what she did! She came back to life. That is when I agreed to leave the room. Second later, the syringe was dispensed and, after careful and extended monitoring, my wife was relocated to her new home, the Intensive Care Unit of the hospital. “What brought you back?” he asked. The cardiologist turned to me and smiled. In hindsight, I understand why I had been ignored. There was no way I wanted to distract or interfere with the doctors whose mission it was to keep my wife alive. That said, I would have liked the doctors and nurses who had been working all around me to understand that although I appeared composed, mentally, I was in critical condition. If my wife was dying, so was I. If she was suffering, I was in distress right alongside her. Keep in mind; we are all human beings, with all-too-real emotions. Any form of communication, even if it’s a nanosecond of recognition is invaluable to someone whose most valuable gift, the life of a loved one, is in life-threatening distress. Rob Harris is a seasoned/accredited Human Resources professional. 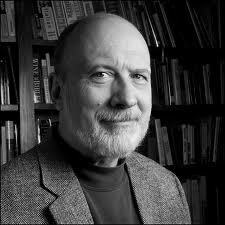 He is the author of two books. The first, “We’re In This Together, A Caregiver’s Story” is scheduled for release in the Spring of 2012. The sequel, “We’re In This Together, A Caregiver’s Guide” will follow shortly thereafter. More importantly, he is a seasoned Caregiver. His wife is a two-time cancer survivor (Non-Hodgkin’s Lymphoma and a radiation-induced leiomyosarcoma). He and his wife are the proud parents of two U.S. Army officers. Presently, his youngest son is protecting our country's freedom in Afghanistan after previously being stationed in Iraq. His brother recently returned from his first deployment in Afghanistan. I'm very honored to have Rob Harris here at Redwood's Medical Edge today. He's giving a first hand account of what it's like when your loved one nearly meets death. Part 2 will be posted Wednesday. Recently, I was gifted two blog awards by fellow writers and I want to acknowledge them in their kindness. 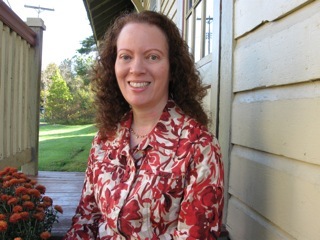 The first was the Versatile Blogger Award given by Carrie Rubin at The Write Transition. 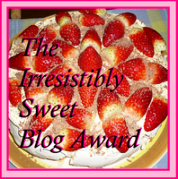 The second was the Sweetest Blog Award given by Faith, Fiction & Friends. Both of these blogs are deserving of your perusal so I hope you'll take the time to check them out. I want to give a big shout out of thanks for their generosity and support. I'm going to modify the requirements a little-- you know healthcare people never follow directions too well as my current physical therapist has been griping to me about-- yes that pesky shoulder dislocation. Instead, I'll share some of the blogs I regularly visit that I think are definitely go to sources for other writers. And then I'll share some fun facts about me! 1. The WordServe Water Cooler: I'm a little biased here as I do administrate this blog but it is a group of agented authors sharing their wisdom and advice to those a little further back on the publishing road. These authors are amazing people-- and so is their writing. Recently mentioned on WritersDigest.com! 2. Michael Hyatt: This should be standard reading for all writers everywhere. Michael blogs on several topics ranging from social media to leadership. 3. Novel Rocket: Again, standard reading for novelists. Author interviews from debut to bestseller and everything in between. I mean, it was started by an RN so how could it not be good! 4. Suspense Novelist: Musings from the writing world. 5. 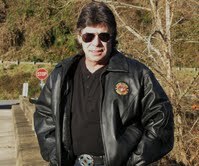 Mike Dellosso: Mike's a suspense novelist and all around great guy. Wears his heart on his sleeve and blogs the same. 1. I recently bet my personal trainer that I would cut out caffeine and diet pop if he would keep getting his six-month-old immunized. That's what I'll do for a child and if you knew how much I liked those two things you'd be amazed! 2. I am a little cranky about having done the above-- but do feel better. 3. Favorite shows: Biggest Loser (which I often eat ice cream in front of), Flashpoint (though not for its medical accuracy by any means) and Castle (love him!). 4. Favorite authors: Dean Koontz hands down. Though I have recently discovered Harlen Coban, Linwood Barclay and Karin Slaughter (who has the best suspense novelist name of all time) and am loving their books. 5. I cross stitch and quilt-- when not mothering, working, reading, blogging and writing fiction. How about you? What's one interesting thing I should know? Leave a comment! 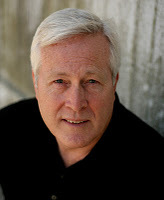 Monday: Rob Harris guest blogs about caregiving and the real life drama of almost losing his wife. Wednesday: Rob Harris concludes about caregiving. It really is a sweet story. No Valentine's tears. Friday: Author Beware. My favorite posts to write where I examine a published work of fiction and the medical error in the ms. This post deals with unsecured narcotics. Hope everyone has a great week and a fun Valentine's Day. Elaine asks: You've come highly recommended by quite a few author-friends and I'm hoping you can help me out with a medical question for my story. I have a high school senior who comes down with a severe case of pneumonia weeks before her graduation. She is hospitalized in the ICU, pulls through, but doesn't make it to graduation. Plot wise I need her to miss the fall semester of beginning college & have her family keeping her home during the summer for extra rest while she recuperates more fully. I'd like to know if this scenario is feasible-- that a case of pneumonia, if bad enough, could weaken someone enough that she'd postpone starting school in the fall and take it up again in the spring? Jordyn says: Elaine—thanks so much for sending me your question. And thanks for the compliment! That means a lot to me. As far as your question—there are a few issues with your scenario. In a previously healthy young adult, it wouldn't be that feasible for her to be sick so long. Medical treatment for pneumonia is antibiotics for 5-10 days. Then maybe residual cough, easily fatigued for a couple of weeks. This is of course if it is a one-sided simple pneumonia. So, considering those factors, if she were sickened in May I would think she'd be able to attend school in the fall. 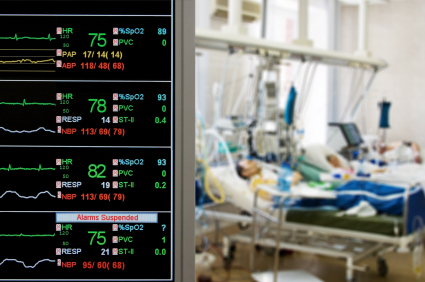 Also, people are rarely admitted to the ICU for pneumonia unless they need to be intubated on a breathing machine. So, say she had bilateral (both lungs involved) pneumonia, had to be intubated, popped a lung (called a pneumothorax), needed a chest tube, etc. Again, these might sicken her for a couple of weeks but if she's generally healthy she should be able to overcome this, rest up for several weeks—back to school in the fall. My suggestion would be this-- give this character a chronic illness that puts her lungs in a more vulnerable state (broncho-pulmonary dysplasia, asthma, cystic fibrosis) and the pneumonia got to the point where she had to be admitted to the ICU on a ventilator and she blew a lung which complicated her situation. Considering her history of chronic disease—it would be more feasible that she'd have a long recovery time and she'd take the fall semester off. Asthmatics on the ventilator are very hard to manage and get off and often have a complicated course. Most often, they have to be medically paralyzed and sedated. The patient is high risk for developing a pneumothorax. This would be my pick. There's nothing more charming for me than a Hallmark Christmas movie. Several I loved this past Christmas season-- particularly Trading Christmas written by Debbie Macomber. Hilarious if you're a writer. Some I didn't like as much-- and you guessed it-- had to do with a medical reason. Christmas Magic was a Hallmark movie where a young PR exec was involved in serious car accident. Most of the movie, you're led to believe that she has died and is doing some angel work before going to heaven. At the end of the movie-- you learn she has been in a comatose state and the climatic scene is where the man and daughter she was trying to help, come to her side at the hospital, to sing her back to life before her father "pulls the plug." My first issue: You should actually look injured if you've been in such a devastating car accident that you've been lying in a hospital bed for the better part of a week. In her "death" scene, her hair is clean and styled. Nary a scratch on her pretty face. Exactly what was her injury? Supposedly brain trauma. Well, she should at least have a bruise on her head. My second issue: Pulling the plug generally denotes that you are on a ventilator. Discontinuing the ventilator-- pulling the plug-- means a patient's breathing is no longer being assisted, they then cannot oxygenate their body, and the heart will stop beating when it doesn't have oxygen. In this scene, she was on a heart monitor (which is merely a monitoring device) and an IV bag of fluids hung at her bedside. She was not on a ventilator. Therefore, no "plug to pull". To denote discontinuing "life support" the nurse in the movie turned off the IV solution where then the heart began to slow down. Okay, you will die if you are in a comatose state from dehydration (think Terri Shiavo's case) but it will not happen in a few minutes. It will take days. But, this patient was able to comply and nearly died in a few short minutes. Next season, Hallmark Channel, hire me as a consultant. You might be surprised at how inexpensive I am! 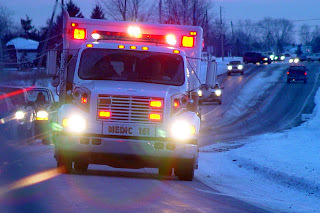 I'm pleased to host guest blogger Michael Rivers today as he discusses the EMS perspective on altered mental status. Hey all! How has your week been? Mine-- three thoughts: blizzard + snow day = kids running amok. I'll let you infer what kind of mood I might be in. This week will be an excellent week at Redwood's. Monday: Micheal Rivers will be guest blogging from the field. How does EMS handle the challenge of the "altered mental status" patient? Wednesday: Author Beware! These are my absolute favorite posts to write. This one, there will be some mild skewering of a recent Hallmark Christmas movie. Can you guess which one? 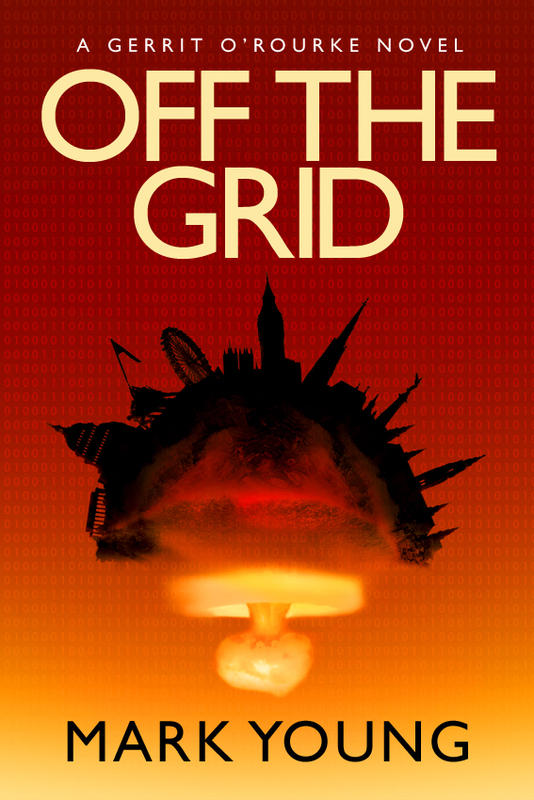 Friday: Author Question. These are my second favorite posts. Elaine Stock stops by with a question about pneumonia and how long it could debilitate her character. See what advice I offer to make her scenario plausible. What's up with your writing this week? This has been an amazing series by JoAnn Spears. I've enjoyed having her and I hope you learned something new about medicine during Henry VIII's time. In Tudor times, one of the main imperatives on a king was to father sons. Henry’s inability to achieve this goal was the impetus behind the Reformation in England, and has been made much of in fact and fiction. The fact is, though, that his full complement of male children was two legitimate sons, and one illegitimate son. One of the legitimate boys died in infancy and the other, Edward VI, died in his teens. The illegitimate Henry Fitzroy died shortly after he was married, at the age of seventeen. Henry also fathered two healthy girls, Mary I and Elizabeth I. He was in his mid-forties when he sired his last child. Rhesus or Kell issues, in which incongruent parental blood types can cause a stillbirth or compromised infant, have been suggested as causes of the many miscarriages suffered by Henry’s first two wives. However, his first healthy daughter was born subsequent to his first wife having a succession of pregnancies, which is quite the opposite trajectory to that usually seen with such incompatibilities. Syphilis, which, untreated, can lead to mental health problems in both parents and offspring, is an embedded but unlikely part of Tudor medical lore. Henry’s impulsive and violent propensities were not described by contemporaries in a way associated with the dementia and deterioration typical of tertiary syphilis. Also, none of Henry’s surviving children exhibited symptoms of congenital syphilis. Henry’s first three wives each conceived quickly after marriage and, in the case of the first two, conceived multiple times. None of his subsequent three wives conceived. Henry’s symptoms of substantial weight gain and compromised circulation became noteworthy around the period between Henry’s third and fourth marriages. Erectile dysfunction is another potential side effect of both diabetes and poor circulation, and would account for a lot of the personal history of Henry and his last three wives. Henry VIII’s last years were anything but majestic. The handsome, charming, 6’2” blond athlete of earlier days was a bloated, irritable, sickly being who was largely confined to bed and chair. A mechanical hoist was required to get the king onto a horse once he donned his outsized armor. The purulence of his leg ulcers caused a nauseating stench. His very last days, in which he was confined to his bedchamber, were spent hammering out a succession plan for the progeny he and his sisters would leave behind. Henry was in his mid-fifties when he died. During the era he lived in, his would not have been considered an advanced age, but a death at that age was certainly not considered untimely. The actual cause of his death is unknown. An embolus to the heart or lung has been suggested. However, either of these would probably have killed Henry quite quickly, and there were days’ worth of succession planning and priestly officiating before the death. Stroke has also been suggested, but the tenor of the deathbed activity around him is not entirely congruent with the suddenness of a cerebrovascular event. Given the circumstances, the eventual succumbing of a once-healthy body to years of chronic disease seems as likely an explanation as any of Henry’s death. JoAnn Spears is a registered nurse with Master’s Degrees in Nursing and Public Administration. 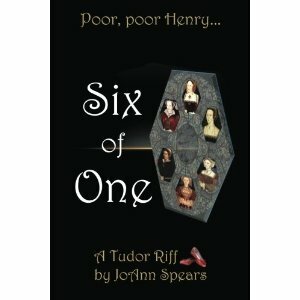 Her first novel, Six of One, JoAnn brings a nurse’s gallows sense of humor to an unlikely place: the story of the six wives of Henry VIII. Six of One was begun in JoAnn’s native New Jersey. 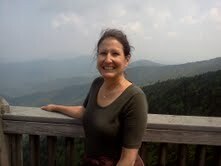 It was wrapped up in the Smoky Mountains of Northeast Tennessee, where she is pursuing a second career as a writer. She has, however, obtained a Tennessee nursing license because a) you never stop being a nurse and b) her son Bill says “don’t quit your day job”.